A chemist celebrates the liberal arts. Our culture has drawn an artificial line between art and science, one that did not exist for innovators like Leonardo da Vinci and Steve Jobs. 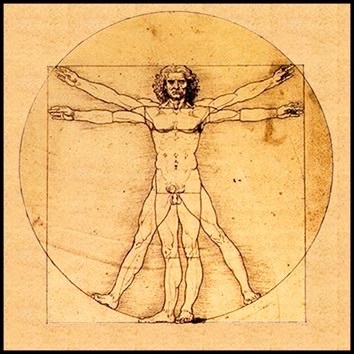 Leonardo’s curiosity and passion for painting, writing, engineering and biology helped him triumph in both art and science; his study of anatomy and dissections of corpses enabled his incredible drawings of the human figure. When introducing the iPad 2, Jobs, who dropped out of college but continued to audit calligraphy classes, declared: “It’s in Apple’s DNA that technology alone is not enough — it’s technology married with liberal arts, married with the humanities, that yields us the result that makes our heart sing.” (Indeed, one of Apple’s scientists, Steve Perlman, was inspired to invent the QuickTime multimedia program by an episode of “Star Trek.”) —The Washington Post. 19 Feb 2015 in Academia, Culture, Humanities, Literacy, Philosophy, Science, Technology, Writing.